The new collection will allow players to select between Japanese or English audio, as well as between original or new control schemes. 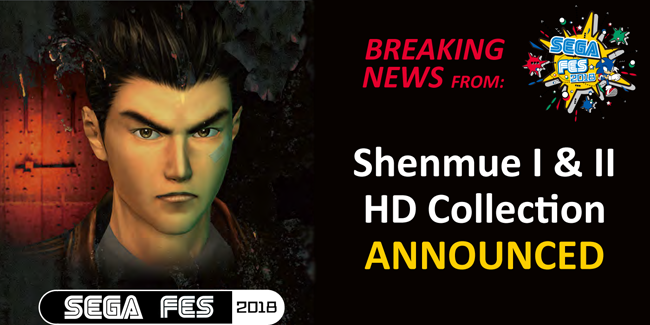 This announcement marks the conclusion of the #SaveShenmueHD campaign, which has been running since 2015 following the successful crowdfunding of Shenmue 3. We will have a lot more to say on this soon, including details of where we go from here as an organized community that congregates on Twitter every 3rd of the month. But for now, we are taking a short break! We'll see you back here in a week or so. Thank you so much for your support on the journey to this long-awaited announcement of Shenmue 1 & 2 on modern platforms. For nearly 400 years, an improbable cherry tree has stood in Morioka, Japan. Improbable because in order to reach the sunlight and thrive, the delicate young sapling had to gradually break its way through a giant rock which remains cracked around the base of its mighty trunk today. The famous Rock-Splitting Cherry Tree, known as Ishiwari-zakura, is a testament to the timeless beauty that can be achieved through the power of persistance against seemingly immovable odds. As cherry blossom season came to a close this year, another strikingly hardy perennial was brought to prominence as Sega announced the return of Shenmue 1 & 2 to modern gaming platforms. Due for release in 2018 on PlayStation 4, Xbox One, and PC, the double pack of Yu Suzuki's original, almost 20-year-old chapters in the saga will be enhanced to include a choice of languages and control systems, and a crisper resolution befitting current hardware. What's most remarkable about your latest effort is that most people would have understood if you'd simply put up your feet and called it a day after Shenmue III was successfully crowdfunded. The majority of campaign participants will have already played Shenmue 1 & 2 on Dreamcast/Xbox or through emulation, perhaps even still having the means to do so. And there was always the distinct possibility that new versions were in the bag before Sega even saw records being broken on Kickstarter. A lesser fan base would have congratulated themselves and left the rest to fate. But you understood the importance of making these games available to a new generation of gamers so that the series, fully restored from its roots, may stand the best chance of blossoming into future sequels that complete the story. Furthermore, you honored the implicit pact we all made with Suzuki-san that if he found a way to take a chance on Shenmue III, we would support him all the way. You didn't down tools and walk away once you got what you wanted most - you continued to do what you could to ensure Ys Net's upcoming sequel has the best circumstances and fairest opportunity to succeed at retail. And for that you deserve unreserved plaudits and to take deep satisfaction in a job well done. THANK YOU. So what now? Now that we really do have all we campaigned for? We celebrate of course! May 3rd marks the 75th consecutive monthly Shenmue Tweetathon, the largest and longest-running social media event in gaming history. And what better way to thank Sega than by spreading the love with the hashtag they've chosen to promote their new release: #ShenmueSaved. We'll be hoping to see your tweets about what it means to you to have Shenmue 1 & 2 freed from the obscurity of discontinued consoles, and the series as a whole finally back in production. And after May 3rd? That's when the monthly event will literally be the #Shenmue Tweetathon. With our campaigning done, the long-established tradition of tweeting about Shenmue every 3rd will still prove a useful tool for the community, maintaining momentum leading up to the launch of Shenmue 1 & 2 and subsequently Shenmue III. By keeping the name in the public eye with the most intuitive hashtag possible, fans can keep the hype alive and show all gamers that this is a highly anticipated series going from strength to strength. So from June 3rd and every month thereafter, please tweet #Shenmue. 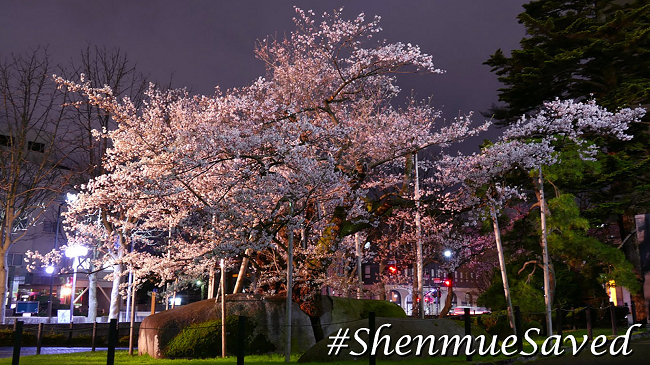 But on May 3rd, it's all about #ShenmueSaved. Our website will soon be updated to reflect these and other recent developments, including a new default message for AutoTweet users who will be able to edit or deactivate it should they wish to. We'll also be posting reminders of the upcoming Tweetathons during the transition between hashtags, and we look forward to publishing a short video on May 3rd that we've had in mind for some time. We'll save the teary goodbye speech until we're signing off altogether, which won't be until Shenmue III is on store shelves, so for now we just want to thank you all again for your amazing support over the last six years and we look forward to dishing out prizes and celebrating #ShenmueSaved with you on May 3rd, the seventy-fifth Tweetathon! For over a decade, Shenmue fans were told by the industry, the media, and by their peers to abandon hope. To let Shenmue die. But together, a determined community helped this promising series crack through every obstacle and earn a chance to flourish, supported by a following that never gave up. May your triumph inspire others and generations to come.